What’s the most challenging parenting issue of the 21st century? Here’s a hint: it’s not bullying or nutrition or getting enough sleep. Instead, it’s the push and pull of how we, as adults, as parents, as families, balance the good and bad of technology as it affects every part of our lives and the lives of our children. If you keep your eyes open, you’ll see the struggle playing out pretty much everywhere you go these days: in restaurants (how many times have you seen families sitting together in a restaurant where everyone is engaged electronically and no one is speaking to each other? ), in stores, at the playground, at the library, in schools, and, of course, in living rooms and kitchens and bedrooms of homes where multiple devices are constantly dinging, beeping, and making other noises reminding us (always) of their presence. 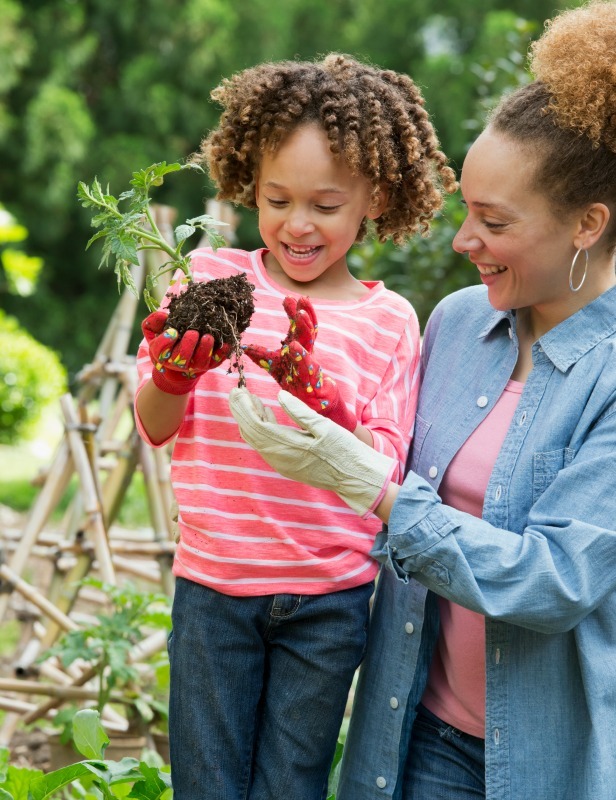 While people without kids also struggle with balancing screen time and real life, the struggle becomes even more real for parents. Helping our children figure out the right combination of screen time and real life time is a constant battle. The lure of the TV, I-pad, the phone is so strong. We, as parents, may say to our kids, “You have 30 minutes of screen time today” but the reality is that no one is watching the clock and that 30 minutes of allotted time can easily become two hours or more. There is nothing wrong with kids spending time with tech. We all want our kids to be tech-savvy, to be connected, to understand and use technology wisely. The challenge is to ensure the right mix of talking to real people versus texting; of creating rather than being entertained; of experiencing actual human interaction versus interaction with emojis. How can we, as parents, help our kids navigate these waters, make the best choices and keep tech in check? Cricket Media, the most award-winning children’s magazine publisher in the marketplace and Parents’ Choice Foundation, the nation’s oldest nonprofit guide to quality children’s media and toys wants to re-frame the conversation about tech and screen time. 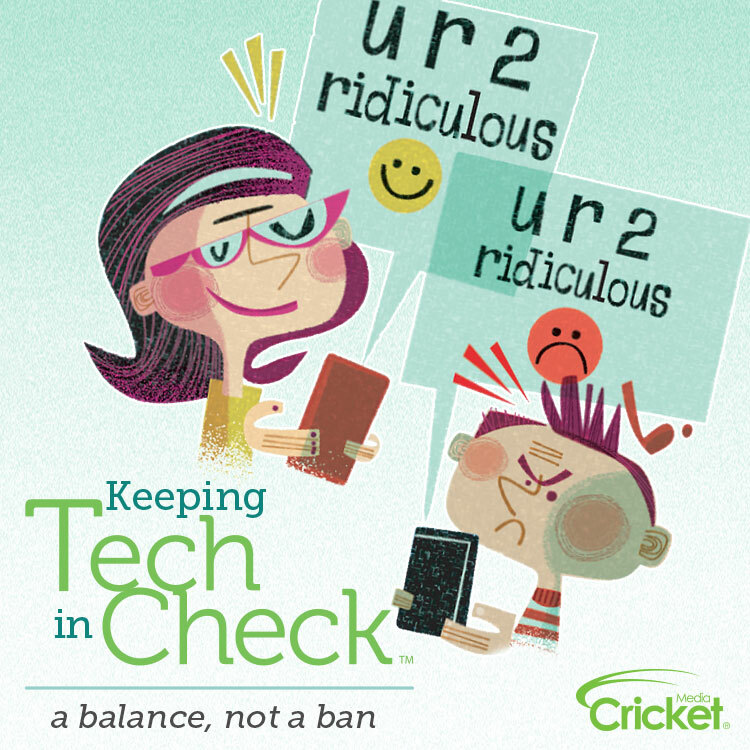 They have just launched a helpful hub for families called Keeping Tech in Check: www.keepingtechincheck.com. With the tagline, “a balance, not a ban,” Keeping Tech in Check offers families a wealth of tools, tips, and resources to help them find the right balance between technology and real-life experiences. Unlike similar efforts that focus only on “unplugging,” KEEPING TECH IN CHECK recognizes that screens are a mainstay in our 21st-century lives, and this initiative is being launched to help parents mindfully manage screen-time as an intentional part of a daily “diet” of activities. Drawing from Cricket Media’s deep archive of award-winning magazine content, the site includes stories and downloadable activities, as well as news and current research. A dedicated blog will feature expert advice and real-life ideas for activities that shine the spotlight on balancing tech mindfully. Downloadable content from Cricket Media’s award-winning magazines, designed for ages 3 months to 14+. An archive of research on the topic of tech usage from respectable sources all over the world, from newspapers to scientific organizations to blogs from other parents finding solutions that may help others.